Born on the schistous slopes, amongst the stones, rock roses, thyme and rosemary flowers. Pure, authentic, complex and elegant, these wines are the perfect expression of a landscape which is World Heritage of Humanity. 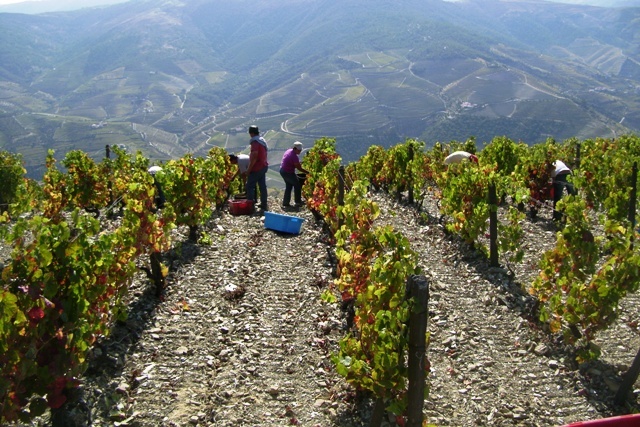 Located in upper Douro, there are schist soils with some clay outcrops. The vinification process consists of co-fermentation with indigenous yeasts in traditional granite press (lagar). Certified Organic (Sativa) and currently in conversion to DEMETER. Vegan friendly. From all native Portuguese grapes, the prevalent grape in this blend is Loureiro. 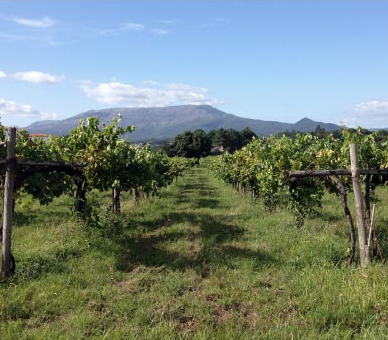 António and Sara vinify their wines by parcel rather than by varietal, which means this Vinho Verde is a direct product of the vineyard from which it came. Biotite, the cuvé’s namesake, is the dominant mineral present in the soils of this vineyard, lending a racy mineral quality to this wine. Grapes are handpicked and pressed in a pneumatic press while cold. Fermentation begins using only natural yeasts in stainless steel vats, after which the wine is aged in steel. From 30 year old vines planted on 1 hectare of granite soils in Vinho Verde. The grapes are hand harvested end of September and selectively sorted in the vineyard, de-stemmed and spends 5 hours on the skins. Spontaneous fermentation lasts for two weeks with indigenous yeasts in stainless steel tanks under temperature control.